After doing consulting for a few years, I needed a change. 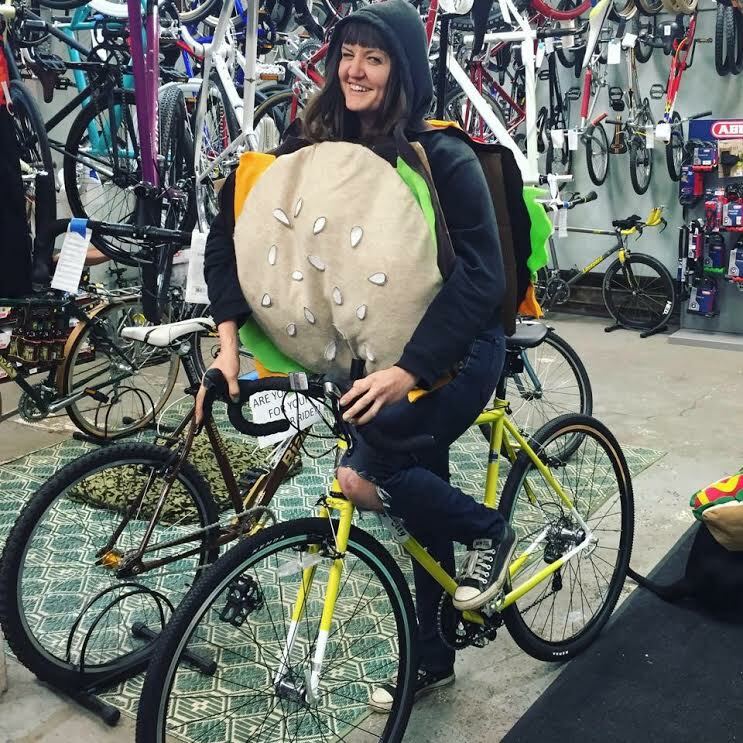 I started volunteering and then working at Lowertown Bike Shop where my love for bikes grew and grew. Working with customers to find comfort in a new mode of transportation brought me a lot of joy. Now I get to be a part of introducing new food (and in some cases a new lifestyle) to people, and it’s AMAZING! I’ve been doing the plant-based eating dance for about a decade now. I love food and people, so when I saw J. Selby’s was opening AND hiring, I was so excited! A totally plant-based eatery? In my own neck of the woods? YES PLEASE! I have certainly had a mix of careers up to the point in my life. I’ve worked at restaurants, newspapers, portrait studios, and libraries to name a few. I went to college for Psychology and Marketing in Alabama, and then to grad school for Human Resources here in Minnesota. I spent the later part of my twenties working with executives and their teams to maximize performance, communicate clearly, and create high functioning teams. As it turns out, those things are also of great use for teams in the food service industry!